Features and benefits: A 35-hp (26.1 kW) Vanguard gasoline engine offers low vibration, low emissions and a limited three-year warranty. 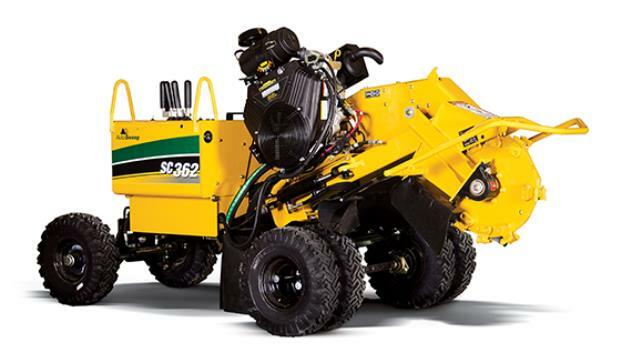 Vermeer AutoSweep system (optional) monitors engine rpm and adjusts cutter wheel sweep rate. * Please call us for any questions on our stump cutter vermeer rentals in Ypsilanti MI and Southeastern Michigan.